For 5 years, our annual holiday consisted of a 3 week break to the Sun, Sand & Sangria on the Costa Brava on our Honda CBX. One week was allowed for travelling there & back through France, then two weeks of eating, drinking, sleeping & sunbathing while in Spain. The Tokyo Express(CBX) was fully serviced & fully loaded for the journey, with maybe a little too much luggage, but handled it beautifully. We usually went via Portsmouth Le Havre, and stayed with our lovely French friends in Alencon the first night. The next morning was the start of the long, carefully planned, run South via Le Mans, & Tours, to Poitiers for our next nights stop. 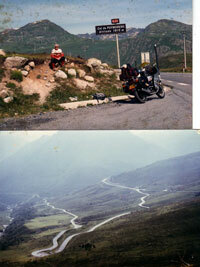 Some blast through France, we like it so much we don`t hurry unless the road tempts you into stretching the wire. Stopped half way down through France once, sent the girls into a hotel??? To book a room, but suddenly realised it was a brothel. Did we get some stick. 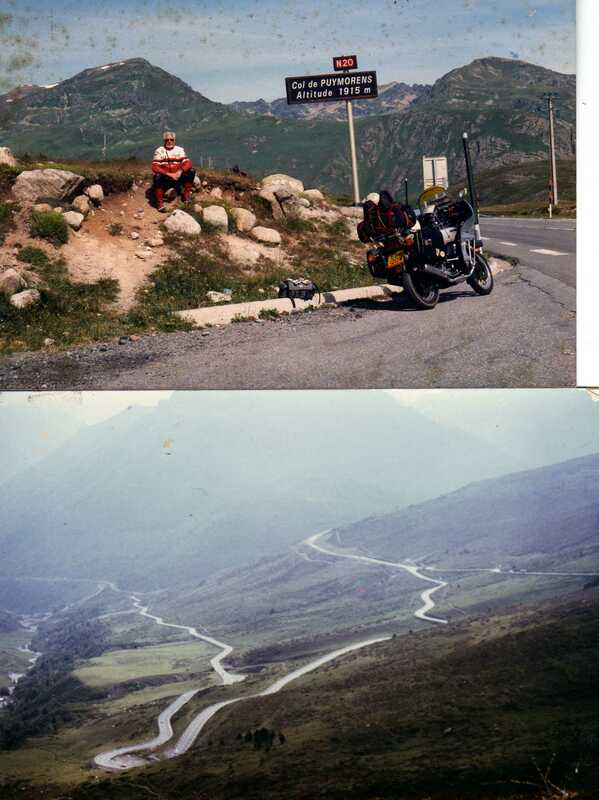 Found another & continued next day over the Pyrenees Mountains into Pas de la Casa, crossing the 2nd highest pass in Europe, at the one & a quarter mile high Col du Puymoren. Stayed one night in the Hotel Panda, Next rode to the Costa Brava to relax in the Sun for the best holiday we ever had. Kindly provided by Pete & Rusty Broad (now living in France).